Public employees in Argentina have launched the first public sector strike with massive protests against Mauricio Macri’s government. They are fighting against layoffs and the criminalization of protest. This is an adaptation of an article originally published in La Izquierda Diario by Josefina L. Martínez. 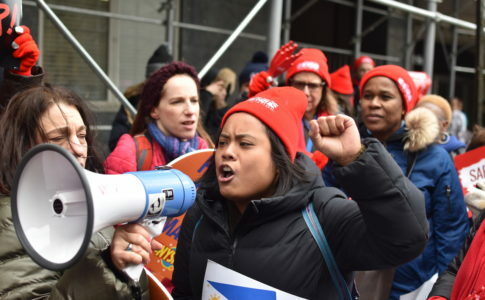 The Public workers’ association (in Spanish, the Asociación de Trabajadores del Estado – ATE) called the first public sector strike, protesting against thousands of layoffs of public administration and precarious workers in government agencies. 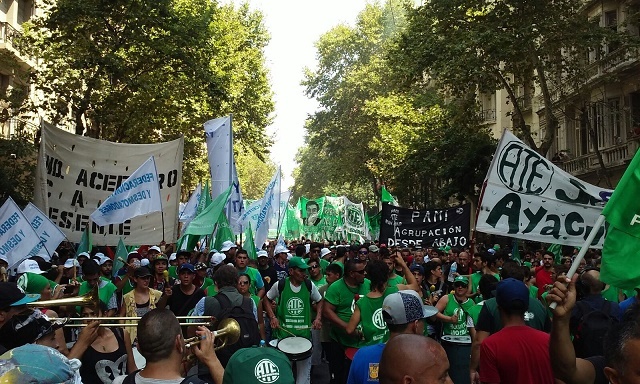 Both wings of the public employees’ union federation (Central de Trabajadores Argentinos – CTA) joined the protest. Mauricio Macri took office last December. Since then, his administration has issued austerity measures, layoffs of public employees, and currency devaluation. 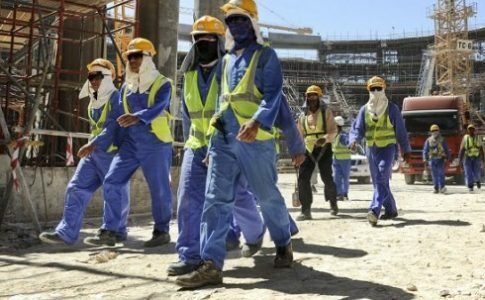 According to the ATE, a total of 25,000 public workers were dismissed. Layoffs are affecting workers all over the country. 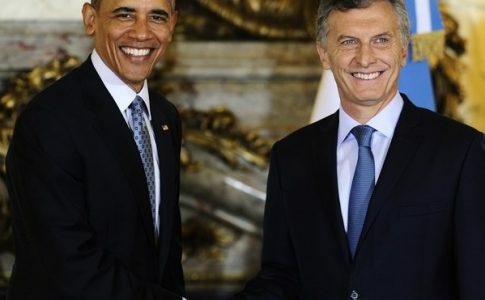 The Macri administration has announced its new policy of “public administration modernization,” which will include further austerity measures, the closure of public offices, and privatization. The strike confronts massive layoffs and rejects a new anti-protest law pushed by Security Minister Patricia Bullrich. This “anti-protest protocol” will criminalize social protest; it sets restrictions to civil liberties such as freedom of the press and the right to protest. This new protocol echoes other new laws and heavy-handed repression of journalists around the world, including Spain’s “Ley Mordaza” (“Gag Law”) and the detention and harassment of journalists covering the Ferguson protests in August 2014. 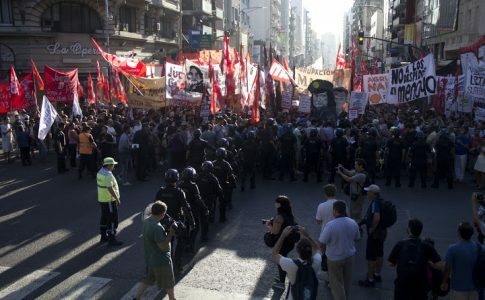 The strike began Wednesday morning with several roadblocks (or “piquetes” in Argentina) and demonstrations countrywide. 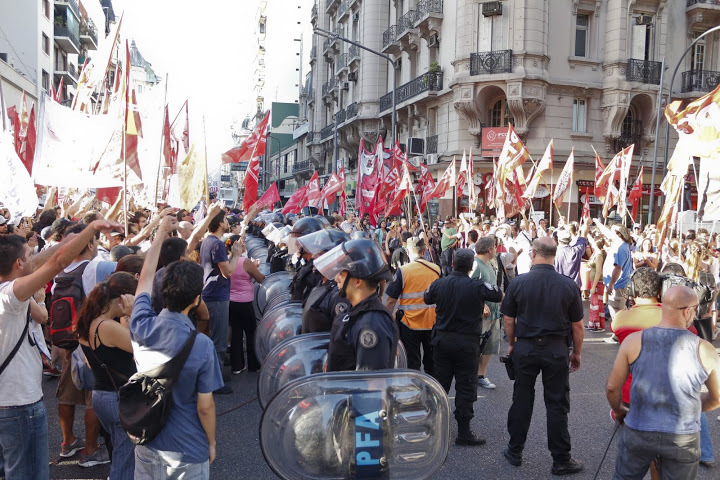 The public employees’ union has called for a demonstration this afternoon at the Plaza de Mayo, which is at the center of the capital of Buenos Aires and a significant place of protest in Argentina. Teachers of Buenos Aires Province from rank-and-file and “fighting” unions will join the protest, together with press workers and left trade unionists. 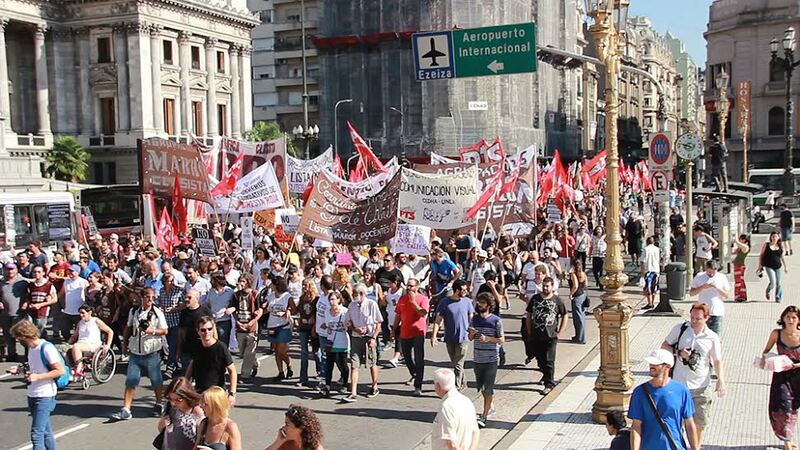 Also, several protests have taken place in different cities, including Rosario, Cordoba, and Buenos Aires. At the crossing of Corrientes and Callao, one of the main intersections in the capital, a massive “piquete” of approximately 1,000 people blocked the streets for an hour in a great show of force, preventing police from applying the “anti-protest protocol”. In fact, the Police had to leave the place, while the demonstrators remained blocking the street and walked up to the Congress, a few blocks away. Left and Workers’ Front (FIT) deputies Myriam Bregman, Nicolás del Caño and Christian Castillo – all PTS (Partido de los Trabajadores Socialistas) members – have unanimously called to “organize the resistence of workers, women and young people” against the austerity plan and the criminalization of protest.